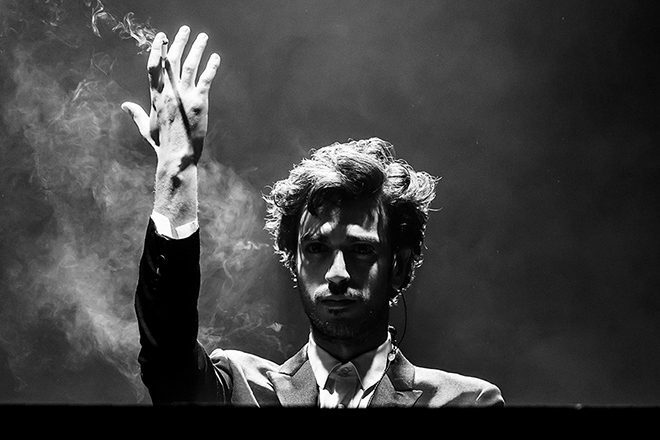 After four years of absolutely no shows, Gesaffelstein confirmed that the legend is indeed back. His get-up included a sparkly silver suit, reminiscent of his most recent press photos and images with The Weeknd. He quite literally looked like he was a character from the movie The Fantastic Four: Silver Surfer. Regardless, Gesa brought the grooves and the tunes. While watching live, it was hard to tell that it’s been four years since he’s played a show. The entire set from coachella isn’t available to stream yet. until then, catch some of the clips captured below. To conclude, he ended the set with an edit of his hit “Hellifornia.” It was lit.